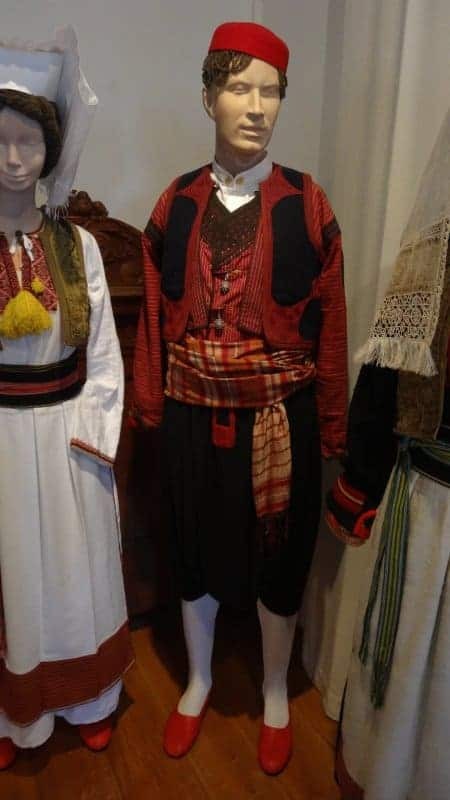 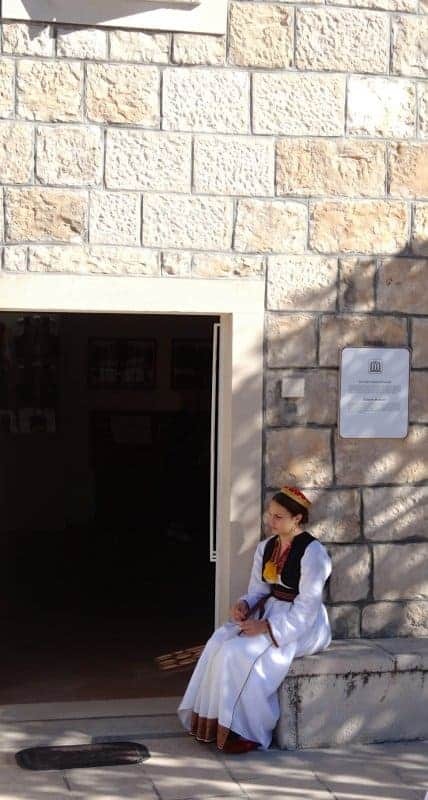 During our stay in Croatia last October we visited two interesting ethnographic museums – in Dubrovnik and in Cilipi, a small town in the region of Konavle, the southernmost part of Croatia, near the border with Montenegro. 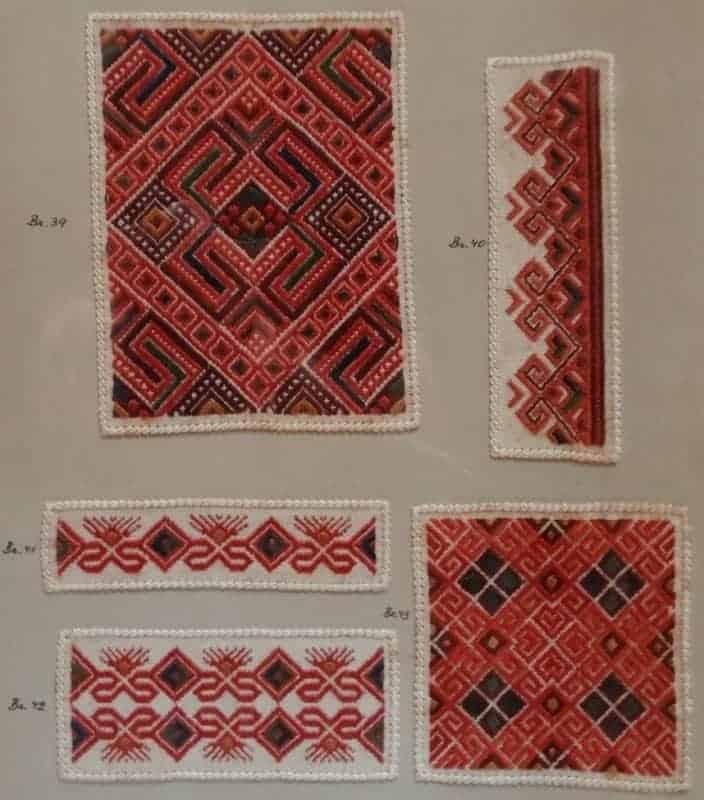 ‘The Embroiderers’ School, known as the Embroiderers’ Guild, engaged in the application of folk embroidery and was active in Cavtat (on the coast, near Cilipi) between the two World Wars. 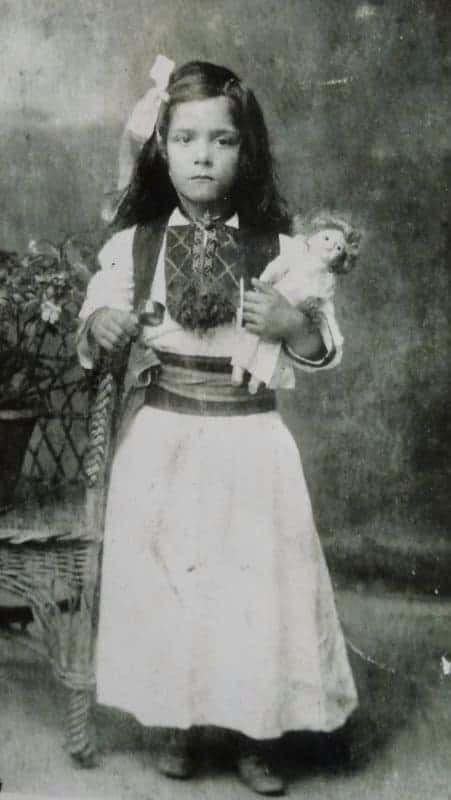 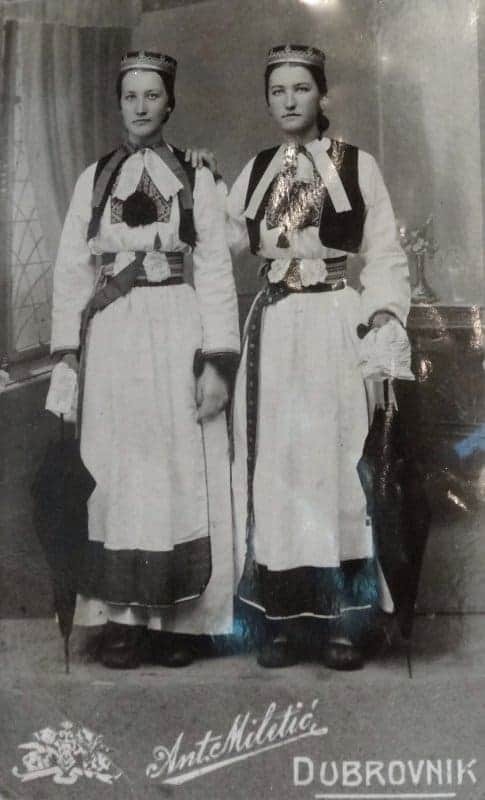 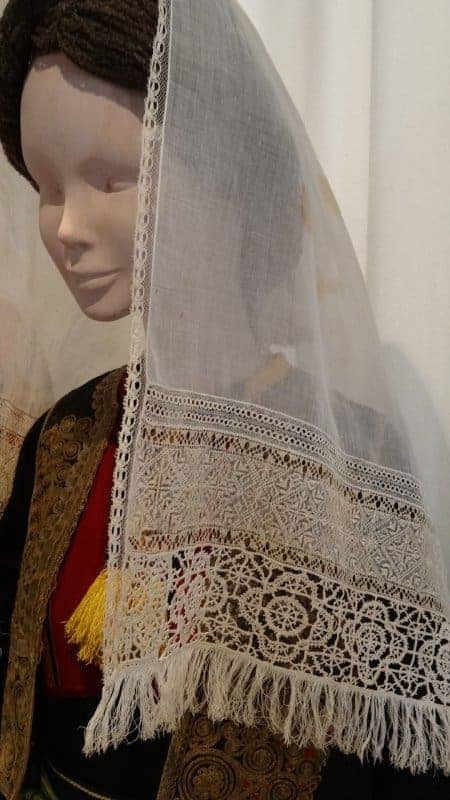 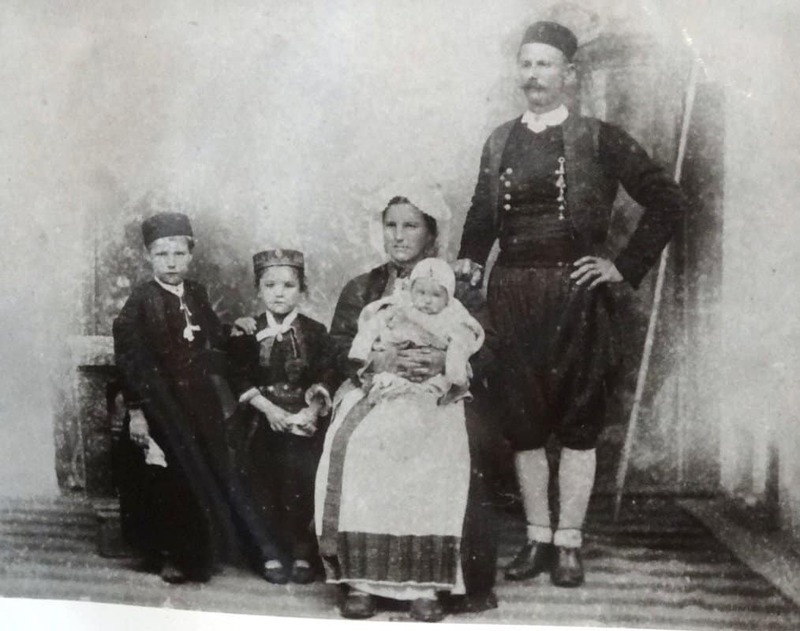 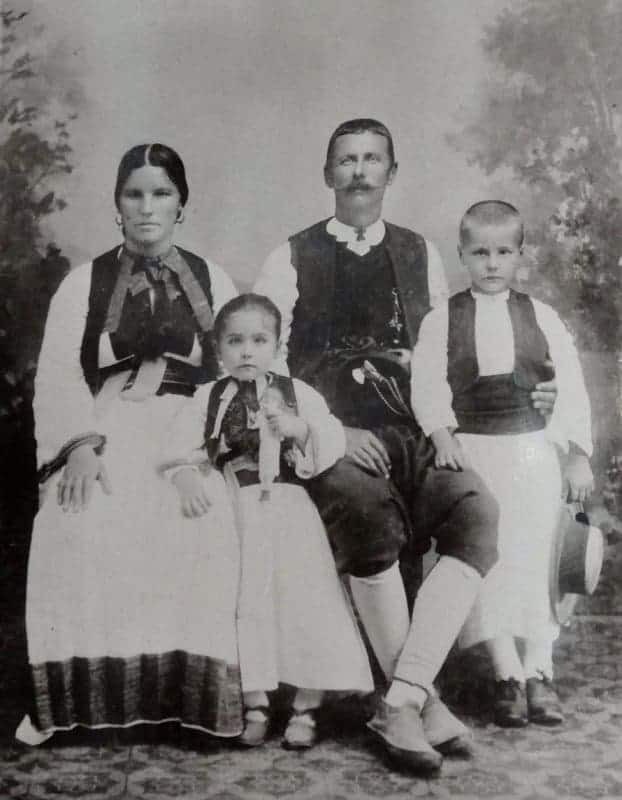 Its founder Jelka Miš, a school teacher (Dubrovnik 1875-1956) deserves a special mention as she, through her tireless work and enthusiasm, dedicated her lifelong efforts to the nurturing and preservation of the traditional cultural heritage – first of all, embroidery. 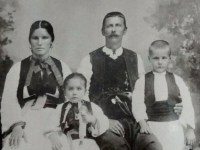 Her first teaching appointment in Konavle (in the village of Mrcine, present-day Dubravka) was in 1905. 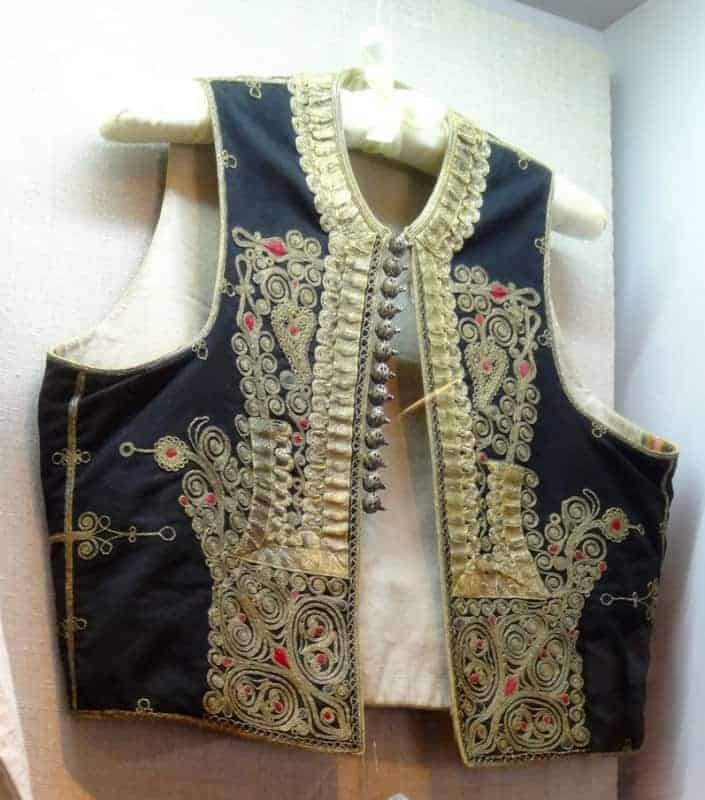 She showed great interest in learning all kinds of embroidery from local women, thus reviving some of the almost forgotten old techniques of embroidery. 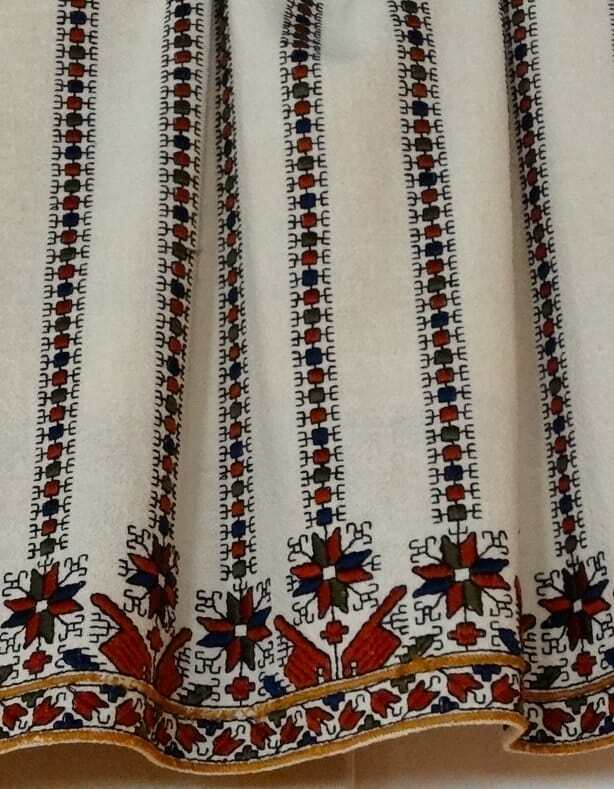 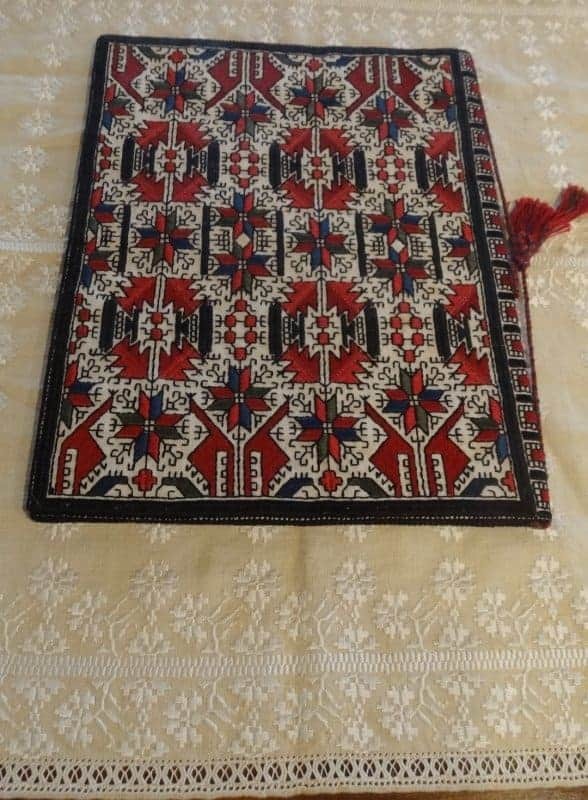 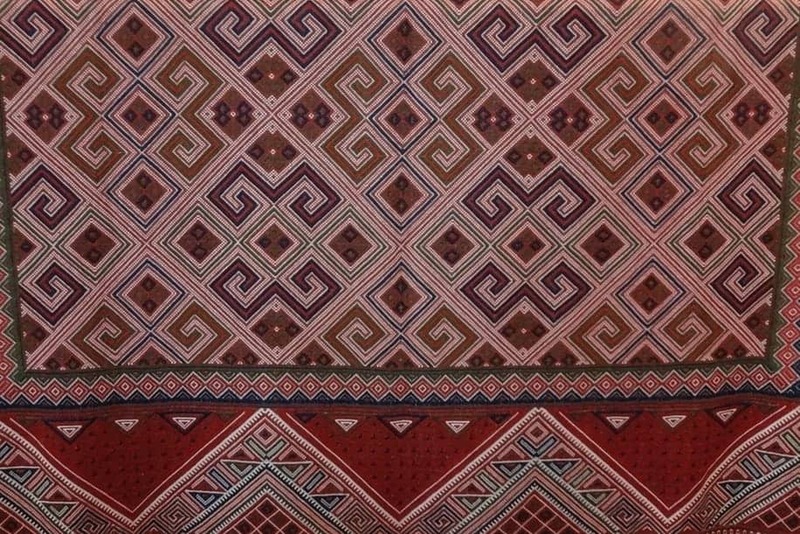 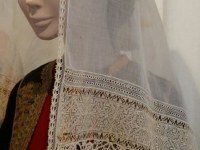 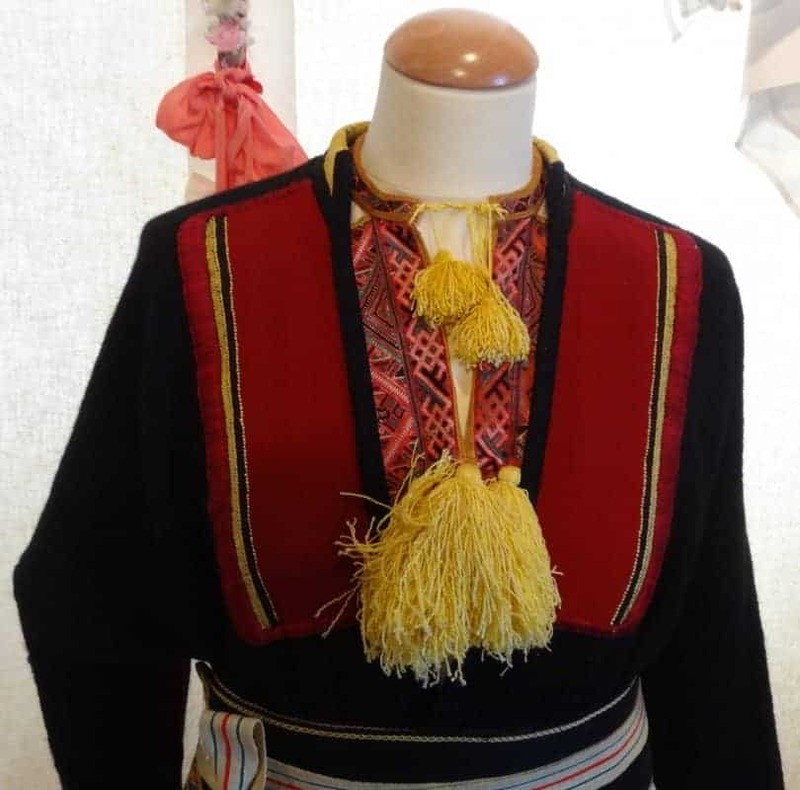 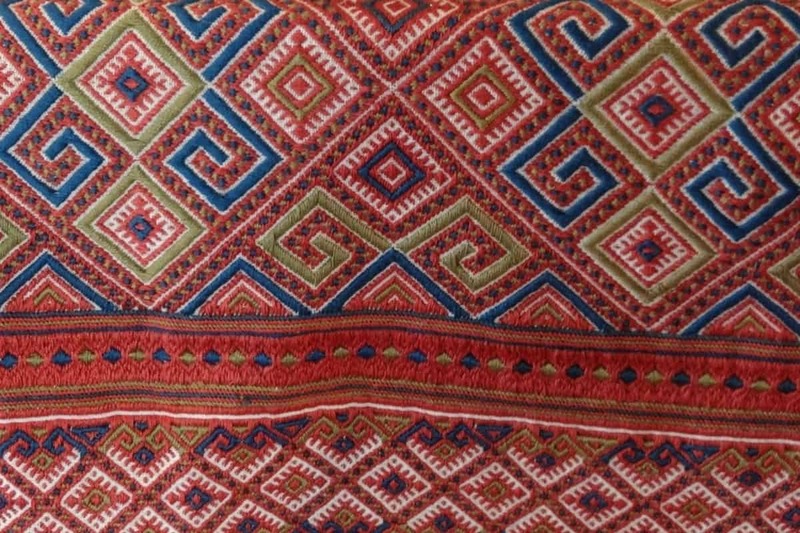 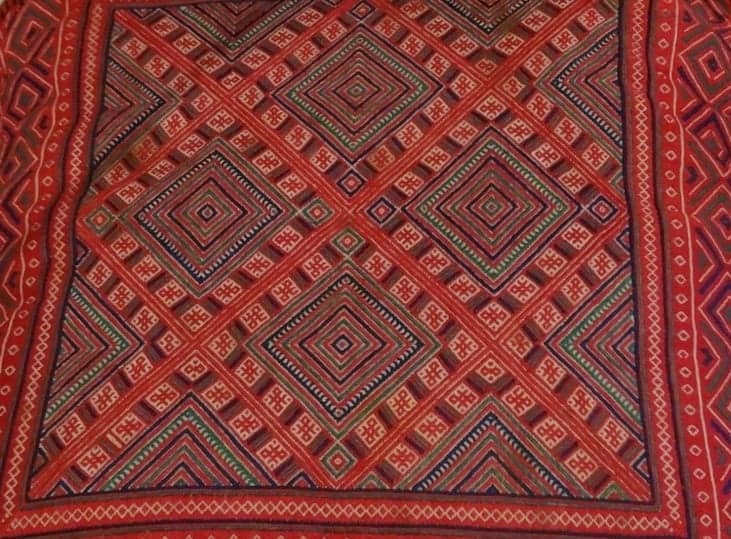 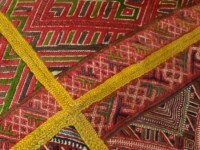 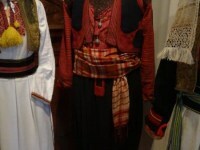 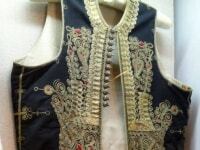 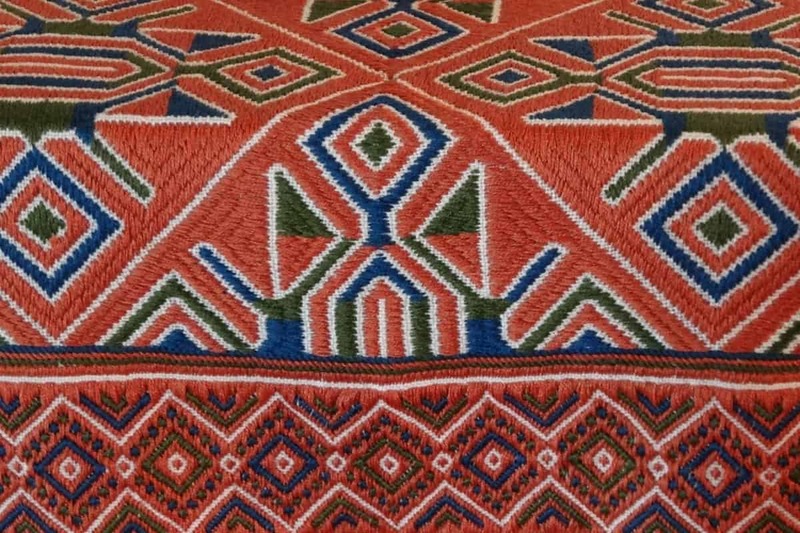 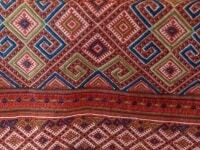 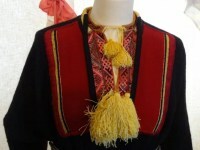 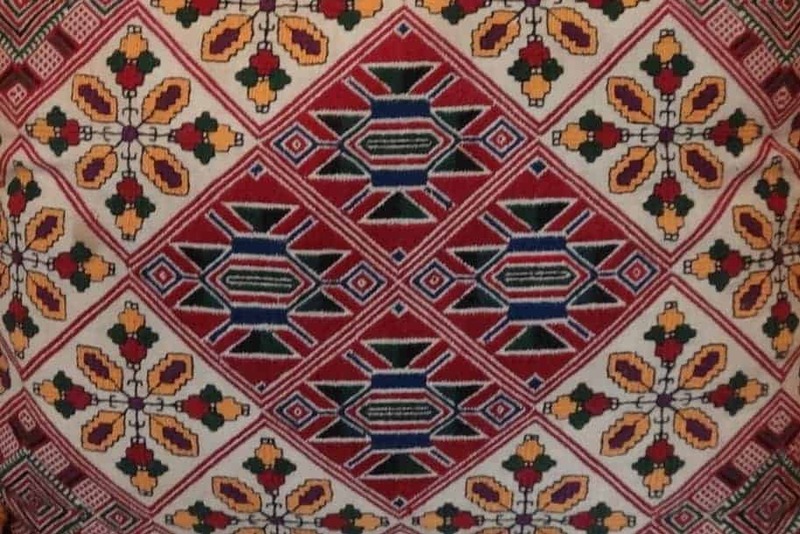 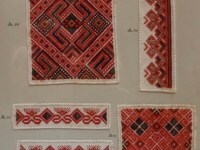 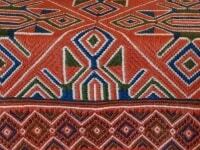 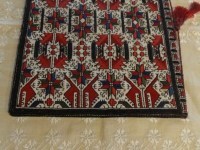 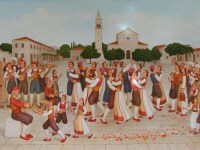 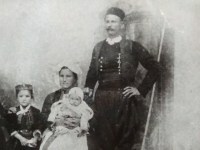 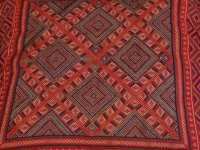 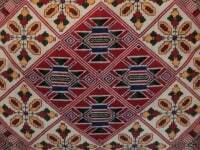 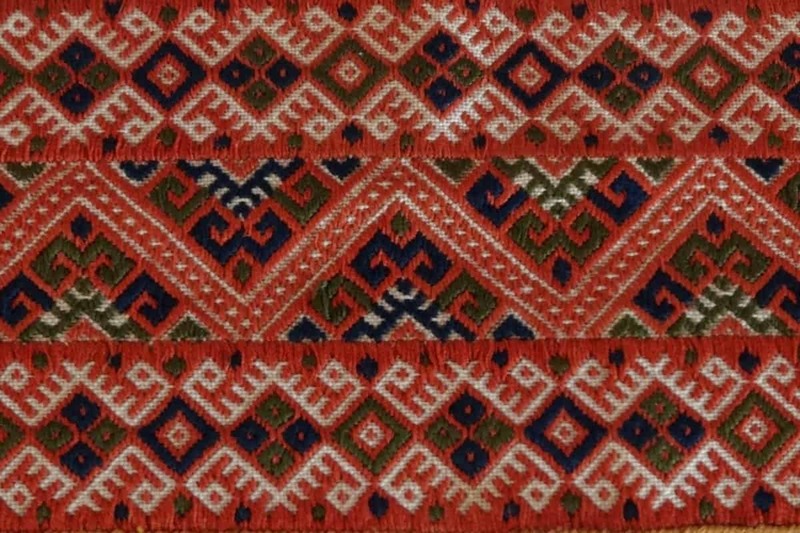 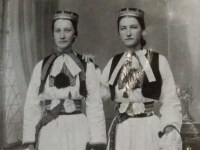 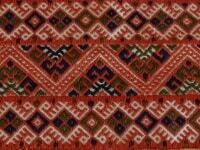 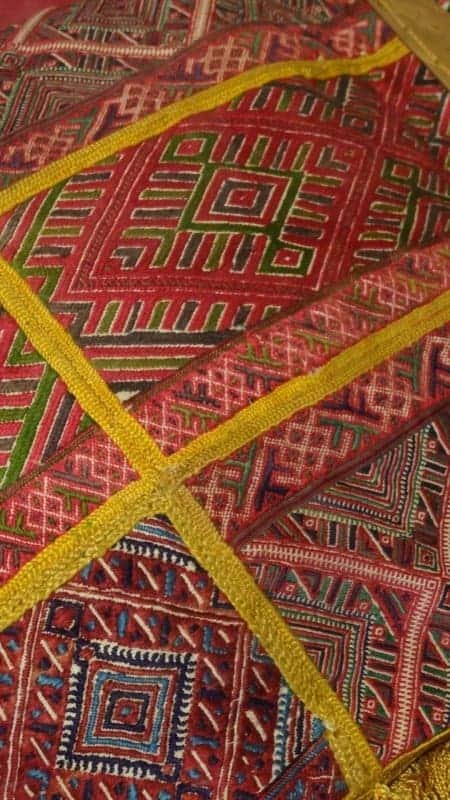 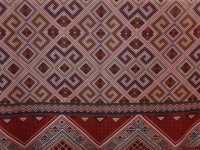 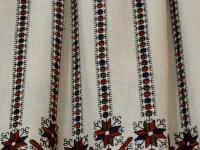 In her intentions to learn other national embroideries, she travelled a lot all over Croatia and to neighbouring countries, collecting samples in search of different techniques of handwork from the rich and versatile folk costumes. 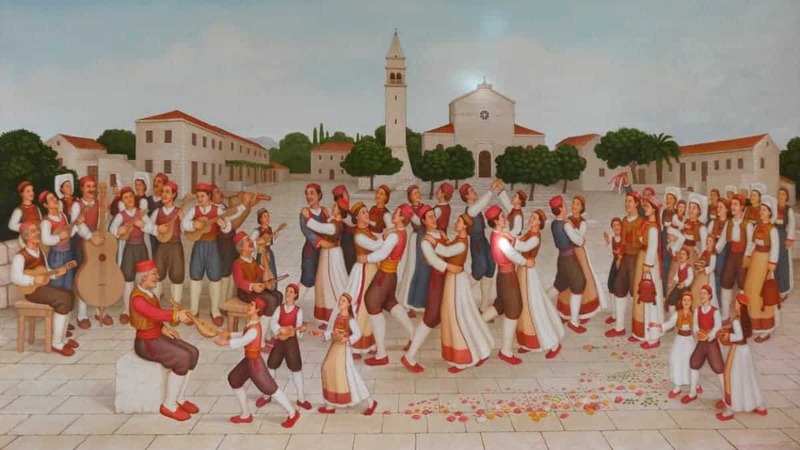 Thus having acquired an immense knowledge of folk embroideries, she founded the Embroiderers’ School in Cavtat in 1922, which was attended by many girls from Cavtat and Konavle. 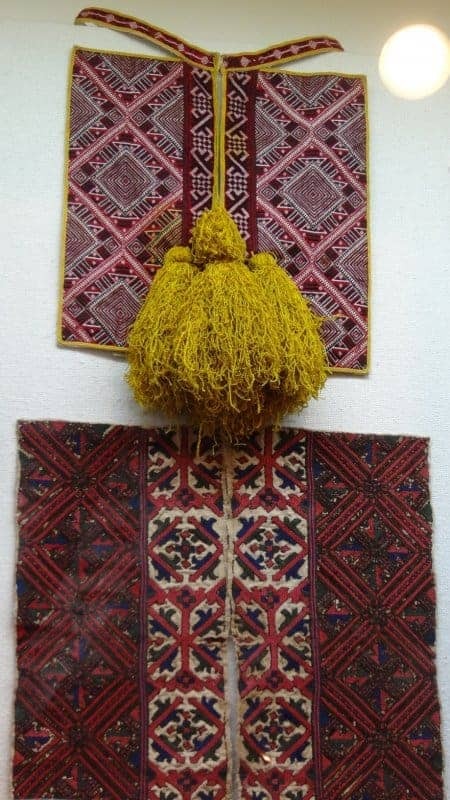 Students made samples from the originals, respecting at the same time the original technique, ornamentation and colourfulness of embroideries. 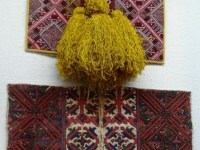 They also made objects for everyday use. 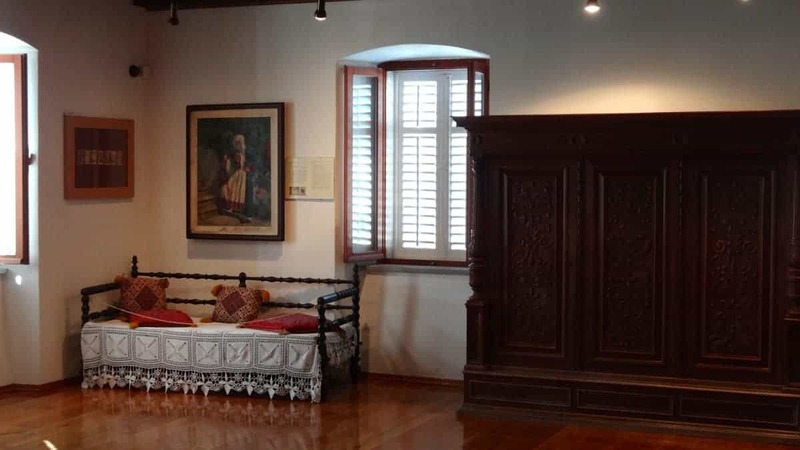 On the first floor of the museum. 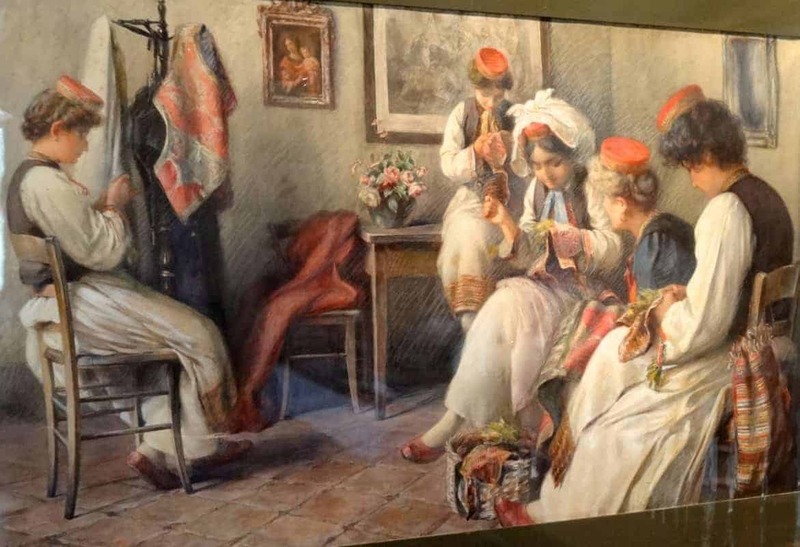 Note the painting by Croatian artist, Vlaho Bukovac. 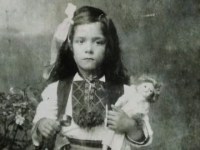 I’ll write more about him in a future blogpost.